As Kron Technologies Inc. is growing fast, we are currently searching for a Software Engineer & Electronics Technologist to join our team. For more details, please visit our Career section. 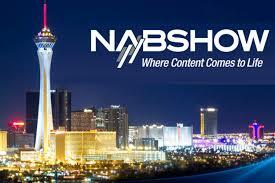 Our team is thrilled to participate at 2019 NABShow as an exhibitor and comes with exhilarating announcements on the agenda! Be ready to discover our ring, a unique product that will definitely disrupt the high-speed camera industry and offer a plethora of applications for the film & broadcast industry, the scientific world, the sports world or even the gaming industry. Stay tuned! Come and see us at Booth C12145 to watch real demos, stare at our massive world first, discover our Chronos 2.1-HD and Chronos 1.4, order our products, sign a contract with us, meet us and get more information about Kron Technologies Inc.
CLOSED on holidays. Please note that we are in British Columbia, Canada. Here is a list of the holidays observed in BC, Canada. About 4 days ago from Chronos Cameras's Twitter via Hootsuite Inc.
Last week from Chronos Cameras's Twitter via Hootsuite Inc.
About 2 weeks ago from Chronos Cameras's Twitter via Hootsuite Inc.